How Important Are Certifications, Anyway? When you’re looking for work, you want to present yourself as the best-prepared, most solid candidate a company could ever consider. With that in mind, many job seekers look at certifications as a way to set themselves apart. But these credentials cost time and money. Are they worth it? It seems as if every field has some kind of certification to go along with it. If you work in project management, there’s the Project Management Professional credential. If you design kitchens, you can become a Certified Kitchen Designer. Are you a plumber? The International Association of Plumbing and Mechanical Officials offers a Green Plumber certification. The list goes on and on. While in some fields — like cybersecurity — having the right certification is a requirement for any meaningful job, in others the impact may be modest. You’ll never hurt yourself by earning a certification, but before you invest hours and dollars into getting one, ask yourself these questions. Does the Employer Expect It? In some industries, employers consider specific certifications to be a fundamental job requirement. For instance, many companies won’t consider someone for a cybersecurity job unless they hold the Certified Information Systems Security Officer (CISSO) credential. In project management, you need the PMP to be considered an “A” player. 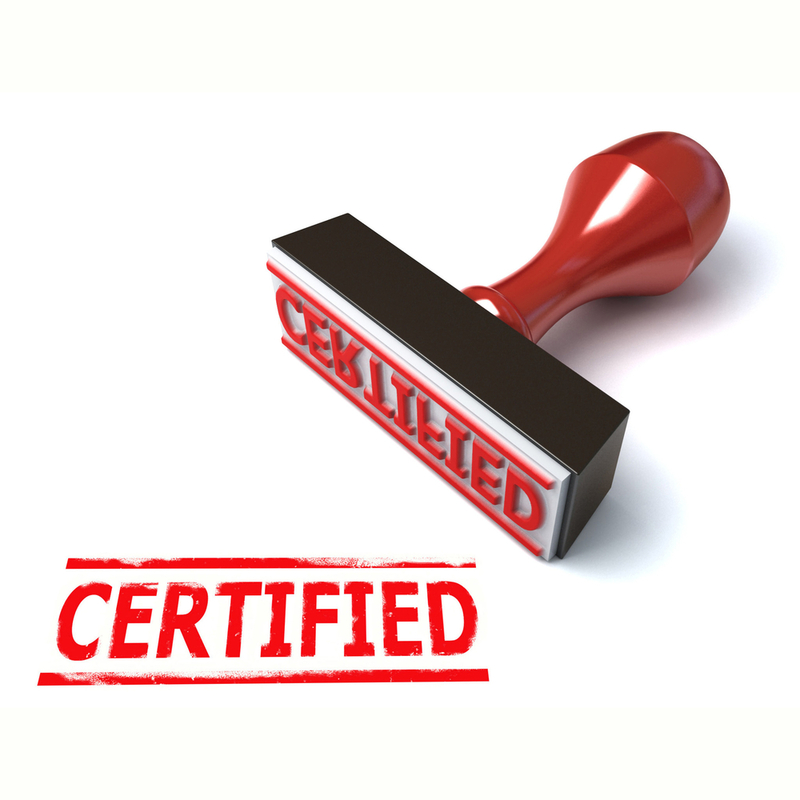 A good rule of thumb: Believe employers when they list certifications as a job requirement. Often, they’ll use it as a litmus test when they’re taking their first look at a resume. If you don’t have it, they won’t be interested. How Competitive is the Field? The most respected certifications are usually based on a combination of course work, experience and formal exams. When you earn one, you’re demonstrating several things to hiring managers: First, that you take your career seriously enough to spend time and money on becoming better at your work. Second, that you have expert knowledge not everyone will possess. And, third, that you’ve proved your knowledge and experience through the process of earning the certification. Let’s take kitchen designers as an example: A showroom may not require that you be certified as a kitchen designer by the National Kitchen and Bath Association. But having the credential shows that you’ve got a certain level of experience in not just selling, but designing, building and/or managing the construction of your designs. When multiple people are applying for the same job, that could be the deciding factor in whether you get an interview. Will a Certification Get Me More Money? Often, they do, but there’s no guarantee. In many high technology jobs, having the right certification can result in a pay premium worth thousands of dollars a year. In most cases, though, the credentials simply put you in a stronger position when it comes time to negotiate your pay. To find out where you stand, do some homework. Search the Web for a specific job title, “certification” and “pay,” and you’ll get started on figuring out how valuable a particular certification may be. Professional associations are also a great source of information about a cert’s value, though bear in mind those same groups often sponsor the credentials and can have a definite ax to grind. Certifications can be valuable not only to your job hunt, but to your long-term success. Still, don’t rush into getting one. Think through what’s necessary to succeed in your chosen path and do some research to learn about what employers expect. Then you can decide whether a certification is right for you. About the author: Mark Feffer has written, edited and produced hundreds of articles on careers, personal finance and technology. His work has appeared on Dice.com, Entrepreneur.com as well as on other top sites. He is currently writing for JobsinRI.com, the top local resource for job seekers, employers and recruiters in Rhode Island.